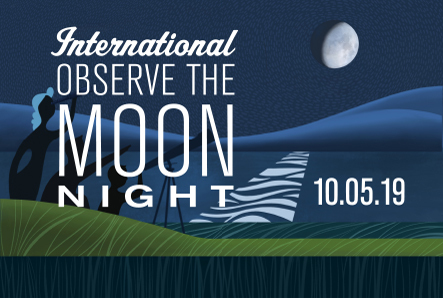 Last year, the Istituto Nazionale di Fisica Nucleare (INFN)—Italy’s National Nuclear Physics Institute—became an Affiliate Member of the Solar System Exploration Research Virtual Institute (SSERVI), participating in SSERVI programs on a no-exchange-of-funds basis. The INFN was selected for Affiliate Membership after it was determined that the institute’s research activities will help NASA achieve its goals for human exploration of the solar system. The new scientific collaboration between the two institutes enables the future development of joint activities, the exchange of scientists involved in space exploration research, and shared use of respective research laboratories. 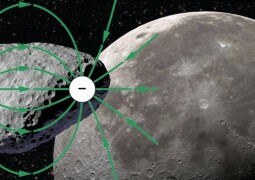 INFN is independently developing and characterizing retro-reflectors to be deployed on the Moon and on satellites of the Galileo global Navigation Satellite System (GNSS, “the European GPS”), and calibrating particle and astro-particle detectors used at the European Organization for Nuclear Research (CERN) as well as others already deployed for space activities. “We have focused on precise positioning in space with laser retro-reflectors as an advanced tool for fundamental and applied physics in the whole Solar System. We built a new lab, and we proposed new ideas and experiments to support our research of the Moon, Mars and beyond,” said Principal Investigator Dell’Agnello. 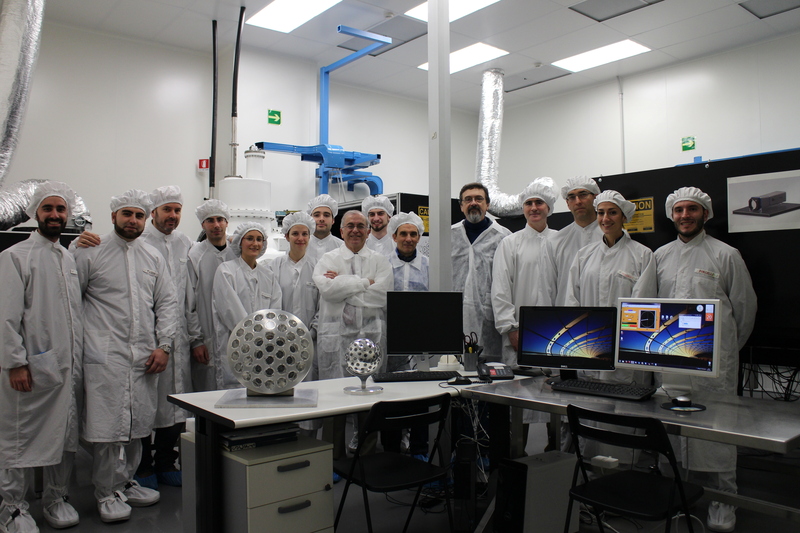 This week, NASA JPL Director Charles Elachi and Italian Space Agency Dr. Enrico Flamini visited the Satellite/laser/GNSS ranging and altimetry Characterization Facilities Laboratory (SCF Lab), and met with Frascati National Labs (LNF) Director Umberto Dosselli. Dr. Flamini is the Chief Scientist at the Italian Space Agency, which provided Cassini’s high-gain communication antenna under a separate contract with NASA. Simone Dell’Agnello’s SCF_Lab group has demonstrated several laser reflectors in development for ISS/LEO, GNSS, Moon, Mars, and potentially Europa. LAGEOS (LAser GEOdynamics Satellite) is a satellite designed by NASA that was launched in 1976. It is a passive sphere with a diameter of 60 cm, mainly made of aluminum, covered by 426 uncoated Corner Cube Reflectors (CCRs). Since its launch, the satellite has provided important information on Earth’s shape, gravitational field and tectonic plate movements, but, most important, due to its high mass-to-area ratio and the stability of the orbit, it gives a reference for the Earth’s center of mass (geocenter). Uncoated retro-reflectors are deployed on the SLR standard reference payload of LAGEOS. Similarly, the uncoated Apollo Corner Cube Reflectors (CCRs) are the standard reference for Lunar Laser Ranging (LLR). Uncoated retro-reflectors with a properly insulated mounting (like Apollo and LAGEOS) can minimize thermal degradation and significantly increase optical performance and, thus, they are emerging as the recommended design for modern GNSS satellites. A new NASA model gives glimpse into the invisible world of electric asteroids.